Air New Zealand will begin rolling out inflight Wi-Fi on its jet services in 2017. Chief executive Christopher Luxon announced at a media and travel trade event in Sydney that flights between Australia and New Zealand would be the first to receive connectivity. 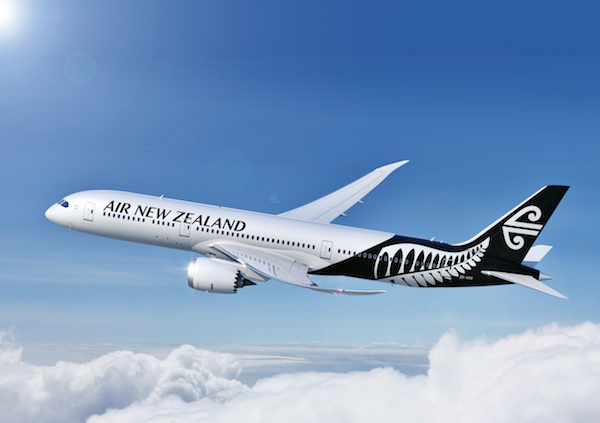 “Air New Zealand is in the final stages of commercial negotiations with Inmarsat and Panasonic Avionics with internet connectivity to be supplied by Inmarsat’s new global GX satellite constellation and integrated with Air New Zealand’s in-cabin Panasonic Avionics technology. “Proving flights will begin in the second half of 2017 and world-class internet services progressively available on Tasman, Pacific Island and long haul jet fleets from the end of next year,” Luxon explained. Domestic New Zealand jet services are likely to offer a Wi-Fi service from 2018. “Given Air New Zealand operates some of the longest flights in the world, and in oceanic areas where there has historically been poor quality satellite service, we have patiently worked with partners until comfortable that a service which meets the high expectations of our customers is available,” Luxon added. “Proving flights on a partner company test aircraft have now given us the confidence to introduce what we believe will be the world’s most reliable inflight connectivity. “Customers will be able to use their social media channels, stay on top of emails and browse the internet.